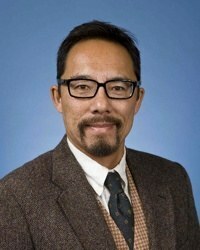 Mitchell J. Chang is Professor of Higher Education and Organizational Change at the University of California, Los Angeles and also holds a joint appointment in the Asian American Studies Department. Chang's research focuses on the educational efficacy of diversity-related initiatives on college campuses and how to apply those best practices toward advancing student learning and democratizing institutions. In 2006, he was profiled as one of the nation's top ten emerging scholars by Diverse: Issues in Higher Education (formerly Black Issues in Higher Education).